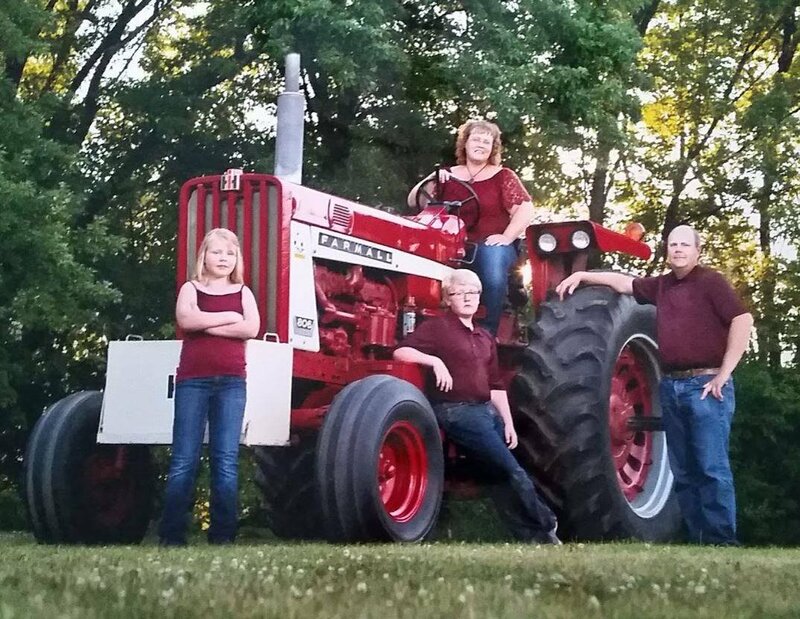 Kadelbach Organic Farms is owned and operated by Glen and Stephanie Kadelbach. Their farm has been Certified Organic since 2011 after starting our transition to become organic in the spring of 2008. 2008 they decided to switch their entire farm to the organic system after the death of Glen's Father. After seeing first hand how horrible cancer was, Glen and Stephanie did not want their two children exposed to any of the chemicals that had previously been used on the farm. The first three years the entire farm went through the transition period as alfalfa. Having never raised any alfalfa in the past, Glen had much guidance from friends, family, neighbors and mentors. During this time Glen researched the equipment needed to be successful at Organic Farming. He bought several different types of cultivators, weeders and even a flamer. All sized to do 12 rows at a time or 30 feet wide. The Kadelbach farm is Certified through Minnesota Crop Improvement Association. They raise a wide variety of crops including yellow corn, sweet corn, sweet peas, food grade soybeans, black turtle beans, wheat, rye, oats, alfalfa. 2018 we started raising Oyster mushrooms and Lion's Mane mushrooms inside one of our old barns. In 2017 Glen also had a permit under the guidance of the MN Dept of Ag to raise Hemp. In 2019 Glen started building row crop flamers. He saw the need for this tool on his organic farm and felt that other farmers would need flamers as well. He will build any size from 4 row to 24 row. Contact Glen for more information about getting one build for your farm. We hope you enjoy our website. We will do our best to earn your trust and your business for many years.